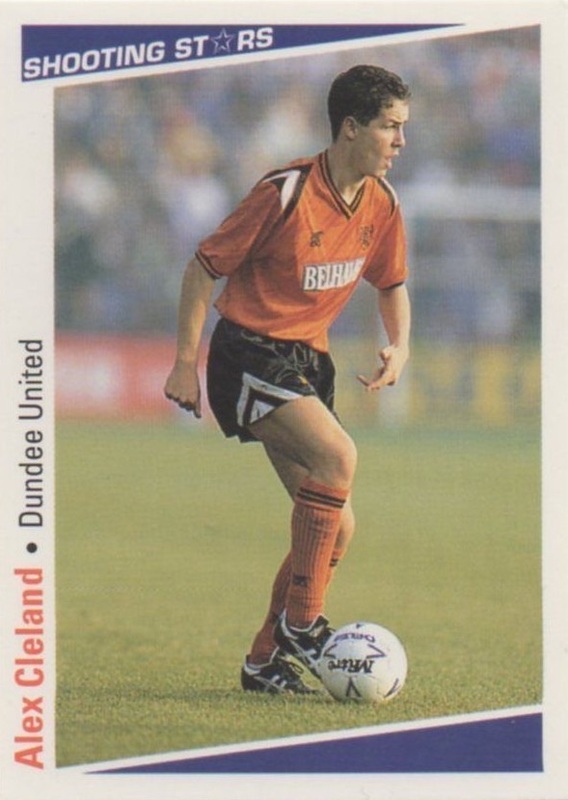 Alex was a schoolboy international who joined United’s youth programme in 1986 and very quickly progressed, becoming part of the Scotland Under-16 and youth squads. He was soon a regular in United's reserve side and made his first team debut aged 17 against Morton towards the end of the 1987-88 Premier League campaign. 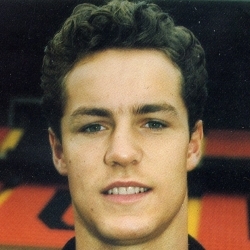 A versatile defender who played mainly at right-back, he graduated to the Scotland Under-21 set up, gaining several caps at that level, and lined up in the United first team occasionally over the next two seasons, scoring his first senior goal in a UEFA Cup tie against Glentoran in September 1989. By 1990-91, he was a regular in the side but was hindered by serious injury, breaking his leg in the latter half of that season. 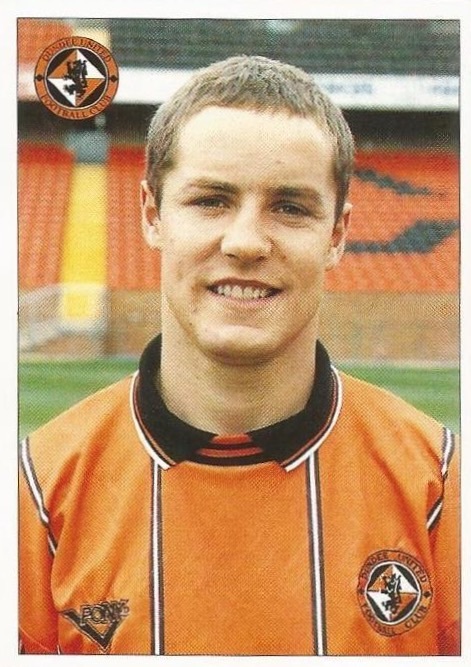 After recovering, Alex was re-established in the line-up and had three more successful years with United, culminating in the 1994 Scottish Cup run where he played in every round on the way to the final. He collected a Scottish Cup winner’s medal in May when United defeated Rangers at Hampden to lift the trophy for the first time in the Club's history. Whilst still a regular in the starting eleven the next season, in January 1995 he was surprisingly transferred to Rangers along with Gary Bollan for a total fee reported at £750,000. Whilst at Ibrox, he won a second Scottish Cup medal, a League Cup medal and was also in three championship winning squads. He left in July 1998 to follow manager Walter Smith to Everton, but his time in England was blighted by a troublesome calf injury. After just 35 appearances in four seasons at Goodison Park, he retired in January 2003 aged 32. He moved back north to become assistant manager at East Stirlingshire before becoming youth coach at Partick Thistle in January 2004. Six months later he moved to Livingston in the same capacity and served as caretaker manager on two occasions, stepping in for. He left Almondvale in May 2007 and went on to hold coaching roles at Rangers and Inverness Caledonian Thistle before joining St Johnstone in June 2009. He again served as caretaker manager in October 2011 after the departure of Derek McInnes, and in June 2018 was appointed assistant manager to Tommy Wright. Alex was born on this date in Glasgow. An impressive performance was marred by injuries to Iain Ferguson, Eamonn Bannon and four goal hero Mixu Paatelainen which meant we ended the match with only 10 men. We attacked right from the start and reward for that pressure came in the 15th minute. United travelled to the Capital, hoping to bring almost ten years without a victory to an end. Paddy Connolly came in for Robbie Winters in an attempt to bring some added punch to an attack which had only been on target once in the three previous outings. 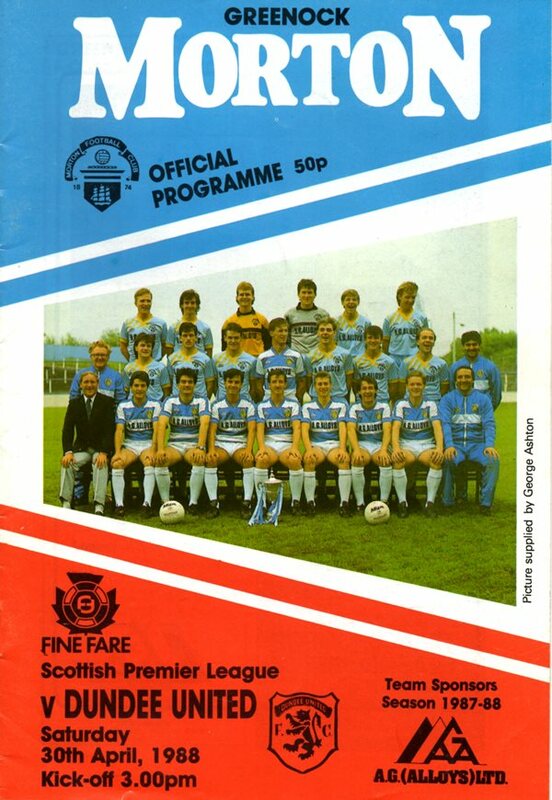 Billy McKinlay was fit again, but he wasn't on from the start, sitting alongside Robbie Winters on the bench.